A tremendous opportunity exists for any business that has the ability and willingness to engage in commerce with emerging markets. However, potential hazards also exist that can result in unforeseen, unfortunate consequences. This article will attempt to serve as a basic primer addressing the benefits serving emerging markets can provide and how to recognise – plus ultimately avoid – some of the pitfalls that these markets can expose your business to. Virtually any company who has been involved in manufacturing or distribution in the past 10 years or so is aware that the term ‘local business’ is almost extinct today or at least has morphed into something quite different – almost unrecognisable – from what it was a short time ago. For better or worse, you are no longer only competing for business with the competitor down the street,but also across the globe. The reverse is also of course true; your potential customers are no longer restricted to the same area as your business; in fact you may have to dial an international code to call them on the phone. One of the more exciting, potentially financially rewarding aspects of the new economy is taking advantage of countries and regions globally that are, while not considered developed (at least in economic terms) are on a comparatively rapid rise. Typically this growth is tethered to a significant event that moves the plates sufficiently to change the previous course the country was on – a revolutionary change in the political climate-the discovery of resources previously unknown or under-developed-the development of relatively inexpensive but well trained labour pools – something that causes the buying population of that country to suddenly have more disposable income – and of course, innovation breakthroughs. All of a sudden, previously potential customers that were not even on the radar screen become targets. However, all of this potential for new growth and expansion doesn’t come without risk. When a company decides to transact with a customer overseas, some risks are inherent in almost all cases. Language and language interpretation barriers can often be challenging and certainly legal contractual arrangements between different countries adds complexity and costs in doing business. If your customer can’t or won’t pay for your products or services after they have been provided, litigation can be more costly and time-consuming than it would be for a domestic non-payment dispute. For that reason, many companies have long held policies restricting trade with foreign customers to payment in advance. Some of these customers understand this and are more than willing to comply; with some others it isn’t always so simple. Some emerging markets such as China, Brazil and other countries in South America and Asia are emerging because many manufacturers from developed nations have chosen these locations as new manufacturing centres because of the inexpensive labour pools they represent. In addition, some environmental regulatory issues are far more lax than they are in the parent country, again, providing economic opportunities. In situations like this, where a very well established, solid company expands to manufacturing overseas, opportunities exist for a vendor of that company to ease into emerging markets while mitigating the payment risks mentioned above. Some of my company’s experiences with expanding into emerging markets started this way and have been very rewarding. Modern Plastics is celebrating 70 years in the plastics distribution business in 2015. We are a distributor of plastics stock shapes-sheet, rod, tube and film and custom plastics fabrication. One of the points of difference between ourselves and most of the more traditional distributors of plastics is that years ago, we saw the value in investing in advanced quality procedures and certifications. We are ISO certified 9001:2008 and ISO 13485:2003 (medical-device) certified. We have an on-staff quality control director, bar-coded inventories, full traceability and record retention that goes far beyond traditional distribution models. 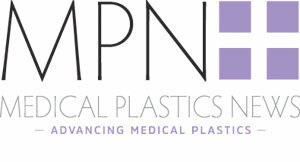 As a result, one of our largest markets is in medical devices – in fact, we have a medical plastics division dedicated to serving the needs of this industry. Within that category, orthopaedics play a large part of our business. Traditionally, most of our customers in this segment were based in the United States. Manufacturers of orthopaedic devices are typically large companies with sterling reputations and excellent credit ratings. Several years ago more and more of these orthopaedic manufacturers started taking advantage of the the benefits discussed earlier regarding shifting some manufacturing to emerging markets, albeit slightly behind some other industries. Regulatory and other factors that exist with a medical device manufacturer that may not exist with a company making products not in contact with the human body have made the decision more complex. As manufacturers did this, transferring key vendors in the supply chain for materials to local sources in these emerging countries was often not seen as advantageous; selection of vendors for these companies is arduous, and a high level of trust is built over the years that can’t be reproduced easily. These companies asked for and received our cooperation in supplying their offshore manufacturing plants with the same products we supply to them domestically. This provides an excellent opportunity to get more heavily involved in engaging with emerging markets while keeping risks to a minimum. Even though we were shipping goods to these locations, we were still in essence doing business ie – invoicing and processing purchase orders – with the parent domestic company. All of the laws and rules of engagement that existed previously were basically intact as they were before. We had the opportunity to benefit from the expansion of commerce into emerging markets with little of the associated risks. Eventually, this association led to relationships with other businesses in those countries that were not owned or divisions of the larger ones that led to this engagement. At that time, decisions had to be made in terms of how we would proceed with these smaller companies, if at all. We proceeded with caution, but confidence. Several significant changes in the plastic market itself regarding new applications for existing polymers, such as implantable PEEK (Evonik Vestakeep) which we distribute, has led to opportunities in places like South America. Talented, ambitious entrepreneurs have started new companies that have reached out to us as established, trusted providers for these materials and requested direct engagement with us. Each opportunity is welcomed and investigated to determine the best path forward. While issues such as payment, transportation and laws regarding commerce should a dispute arise, at first may seem daunting, with proper due diligence these are manageable issues. Our company has benefited greatly by our participation in these markets. We have been able to successfully leverage our relationships with the more established companies to form new ones with companies we never had exposure to previously. In addition to business garnered from our traditional customers, our decision to advertise in publications with a global readership has provided exposure we would not ordinarily have had. We have been able to successfully take our company’s primary message of quality assurance and broadcast it to countries that are looking for just such sources. Again, many of these new relationships are with medical device start-up firms that know the materials they need, but are looking for the right sources to get them. They may not have the confidence they would like from their local sources. The local sources may not be aware of some of the newest materials available. If aware, they may not have access to them. The need for emerging markets to look outside of their geographic footprint drives them to seek other options. If your company positions itself to be on their radar, your company can benefit. Another way we have managed to be on the radar screen when opportunities arise is using web presence coordinated with social media. We have reevaluated what a web site can and should be. We are integrating social media as a way of reaching out more than we have in the past and we are seeing the positive results. Often, these results are coming from emerging markets, where again, if not for social media, our existence would not be known by the potential client. Remember laws that may protect you domestically may not internationally. Payment should be carefully negotiated – at times upfront payment should be considered. Trust takes time to build. Understand this goes both ways – your customer needs to earn your trust as much as you need to earn theirs. Due diligence is always appropriate as with any business transaction. Sometimes in the heat of business even simple things get complicated and obscured. Not every opportunity, is a good opportunity. Be selective. Choose wisely which customers you engage. There are many sources to get background data and details to help in the selection/engagement process. A business must provide compelling reasons for customers to want to buy from them no matter where they are located in the world. In the end, business is still more or less the same as it would even in your own backyard. All the same rules apply and that includes a good dose of business intelligence, skills and plain common sense.